I didn’t have much of an art education. My secondary school (a hopelessly narrow Direct Grant Grammar) had just the one part time art teacher, Mr Brown, who taught the first couple of year groups only, and spent most of his time carving memorial tablets or fabricating ambitiously elaborate box sets for school plays. But at least he (alone of all the staff) had a great beard. I later had reason to be personally grateful for his support of my extra-curricular artistic leanings, but I was perplexed at first by his scrupulous, near total abstinence from any direction in lessons. “Boys,” he would suggest, “you’ll have seen the Lord Mayor’s Show on television the other day; do me a lively painting of the Lord Mayor’s Parade. Lots of colour.” Or he would chalk up some brief topic – “A Picnic on a Sunny Day” or “A Storm at Sea” – and after the briefest discussion of its possibilities would bugger off to the back of the art room and chip away at a piece of granite while we got on with it. Pupils were unavoidably distracted under this lax regime; a friend and I once experimented to see how far we could shoot the cap off a fat, unopened tube of white by “accidentally” dropping it on the floor and lowering a chair leg onto it. (It went a long way, and an impressive trail of rich white paint went with it.) But Mr Brown handled any mischief or spilt paint with experienced patience. Was he a uniquely lazy teacher? I admit that I thought so. 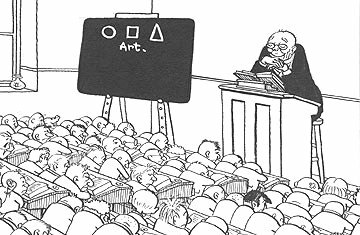 Only many years later, encountering the art education theories of Marion Richardson and her many followers, did I realise that this was the progressive orthodoxy of the times. 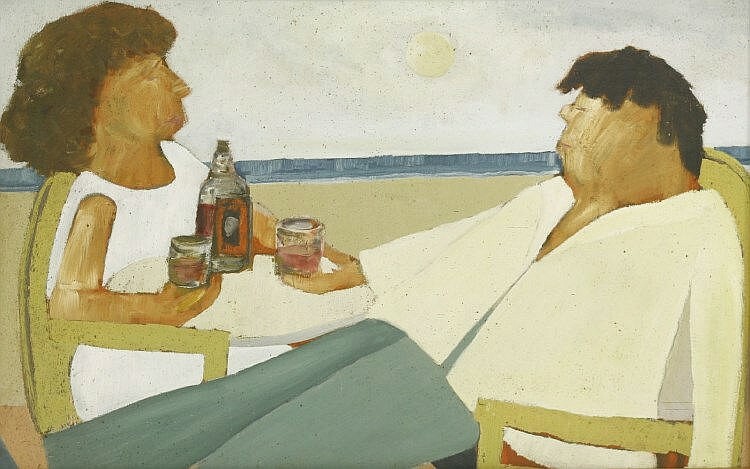 The good Mr Brown would rather have chiselled off his own drawing hand than interfere with our intrinsic creativity by presuming to direct and advise, or even, within the limits of practicality, quell our chatter. His duty was to set the ambience, to provide sugar paper and paint, and to present a neutral stimulus; our childish and privileged urge to self expression would do the rest. 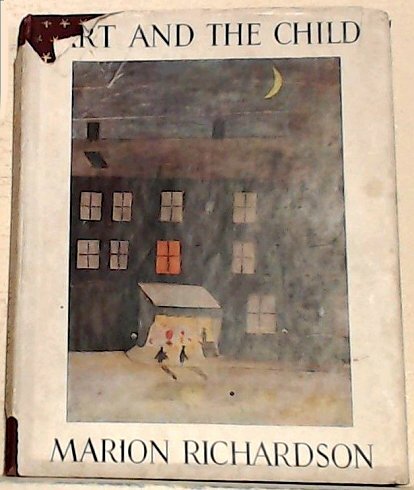 Marion Richardson pioneered her child-centred art teaching at Dudley Girls’ High School from 1912, winning the attention and approval of Roger Fry, no less, though her book Art and the Child was not published until 1948, posthumously. By then her spontaneist methods, in various degrees of exaggeration or dilution, had become mainstream, and were not challenged until the plodding sub-Bauhaus “basic design” approach came along in the ‘sixties. When school inspectors view the outcome, Gartsides escapes dismissal by feigning imbecility. A somewhat different person indeed. Hardiment was already a Second World War poet. (Three remarkably brutal pieces are anthologised in the Oasis collection of 1983.) He went on, among many other things, to champion school magazines, co-editing (with Caroline Benn, wife of Tony) a failing periodical on the subject, Antiphon, but he is best remembered for being the man who introduced William Burroughs to LSD (or tried to). He is stated to have been “familiar with the London underworld” and to have had five wives and nine children. There will simply have to be a proper post devoted to Hardiment here shortly (or to as much as I can currently trace of him).